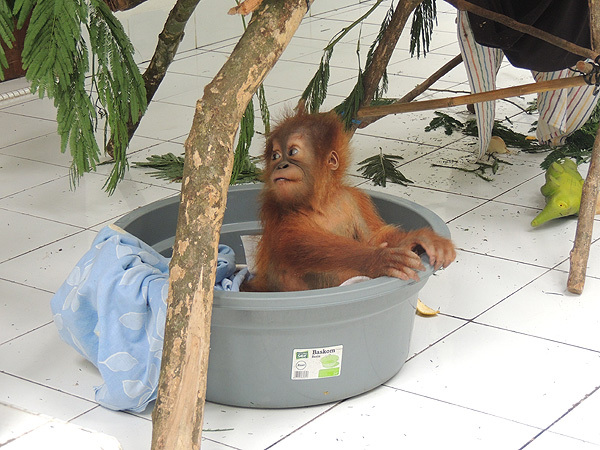 The SOCP Baby House now has its own Facebook Page! 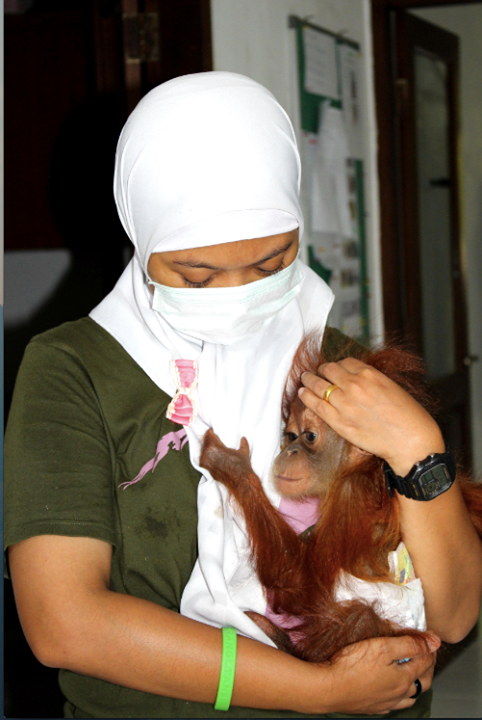 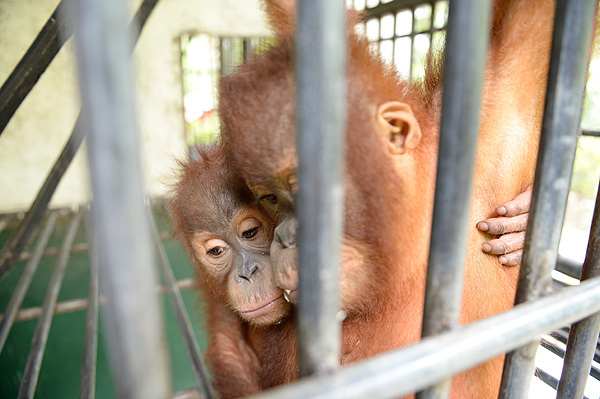 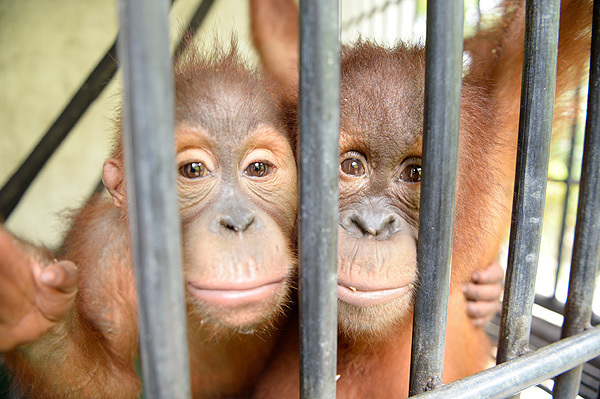 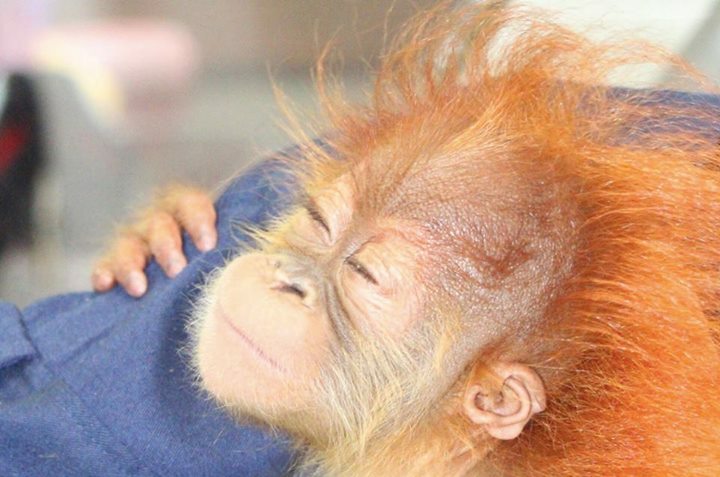 Due to an increase in deforestation and expansion of oil palm plantations into previously forested areas of North Sumatra, the SOCP Quarantine Center is receiving increasing numbers of orphaned babies under the age of 3 — and they all need 24-hour attention and care. 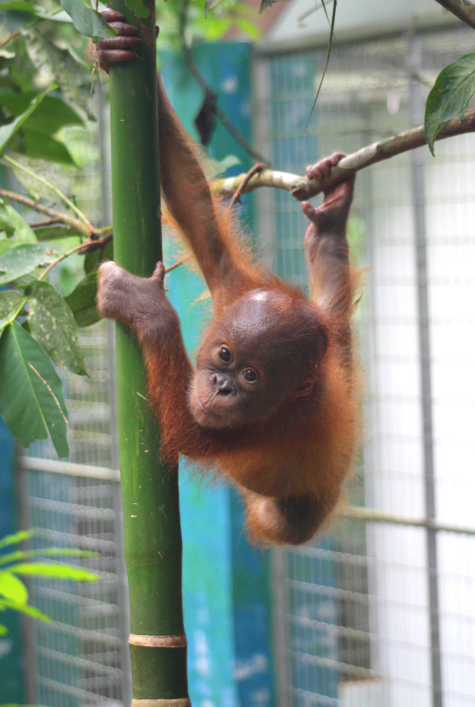 The Baby House, or Infant Quarantine, is a place where the SOCP staff is able to give special attention to these young infants and teach them how to climb, build nests, feed independently and socialize with other orangutans. 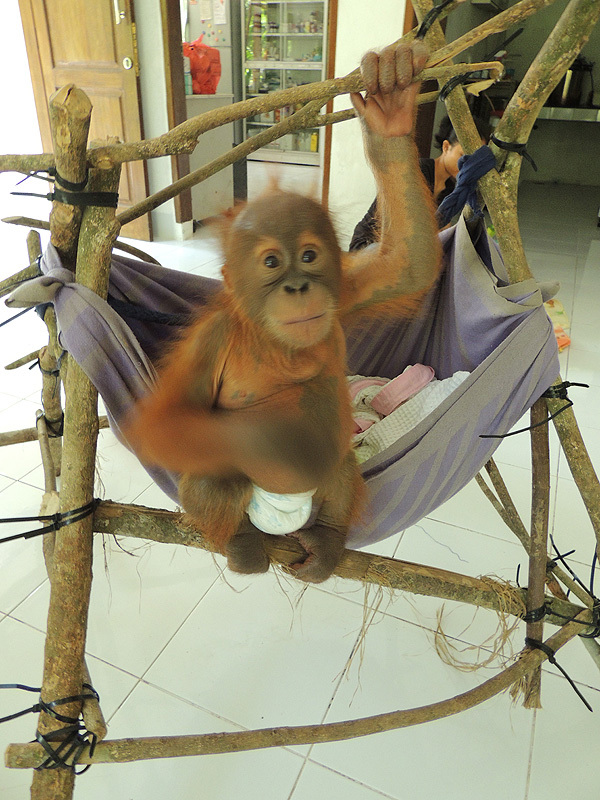 At night they sleep in hammocks, which mimic a nest, so they are used to what conditions are like in a real nest, off the ground and in the trees. 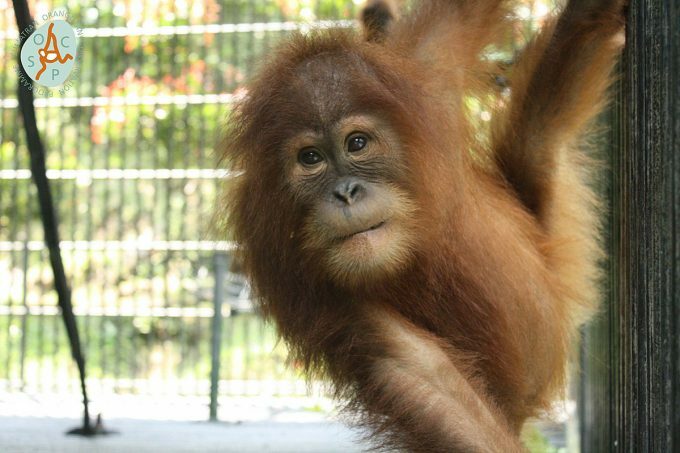 Once the orangutans are a bit older and more independent, they are moved as a group to the socialization cages, where they enter the next stage of development. 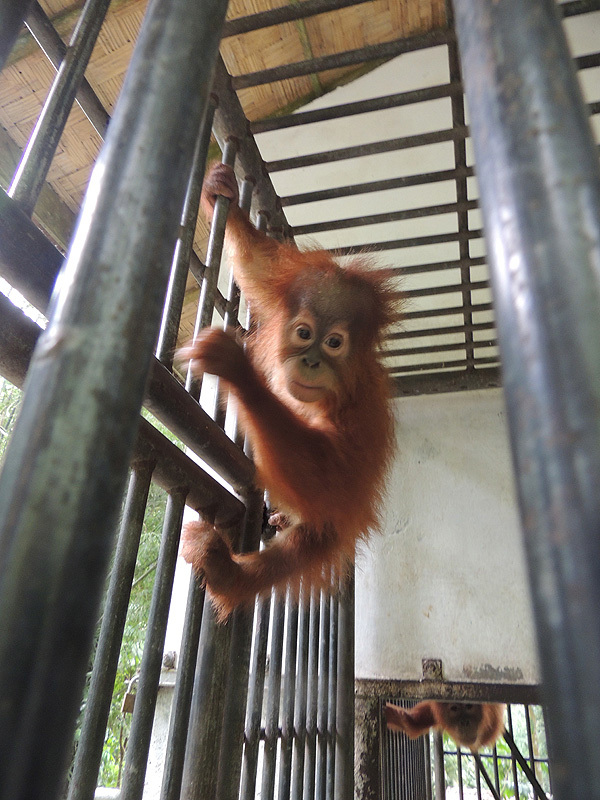 At this stage they spend most of the day outside in Forest School learning valuable skills they will need to survive in the wild! 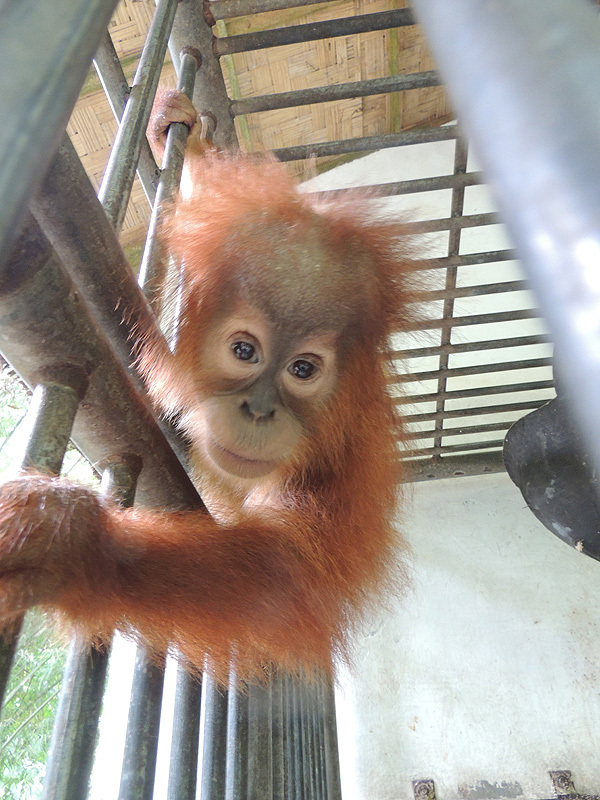 The residents of the Baby House are constantly changing as new orangutans arrive and older residents move into more advanced groups. 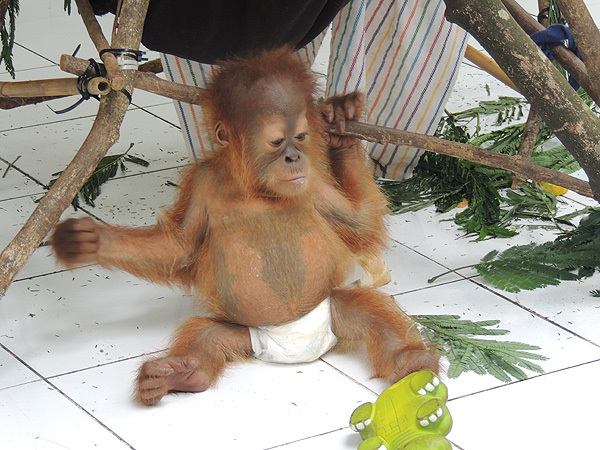 Keep and eye on the SOCP Baby House Facebook page to see the latest news and updates! 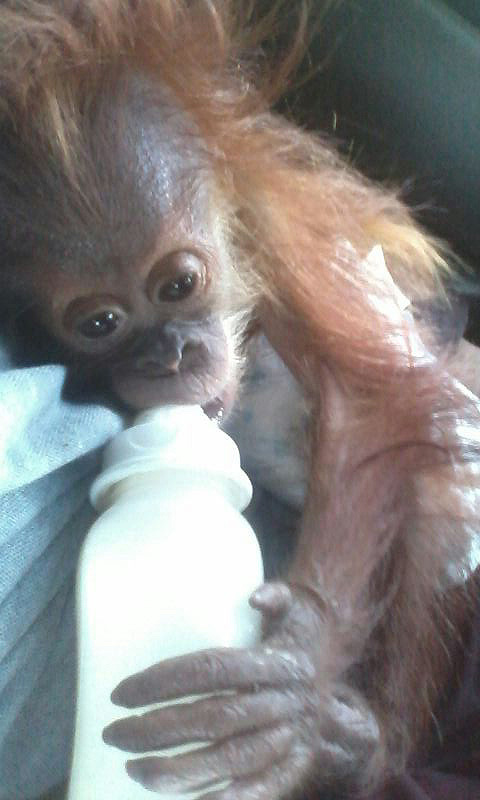 Below are photos of a few Baby House residents from the past couple years! 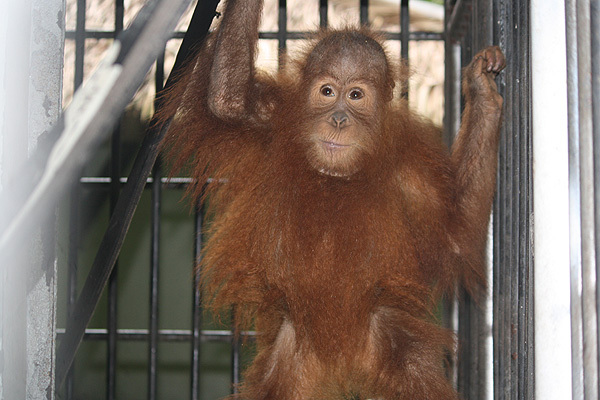 You can directly support the SOCP Baby House by adopting Megaloman or Molika for just USD $10/month. 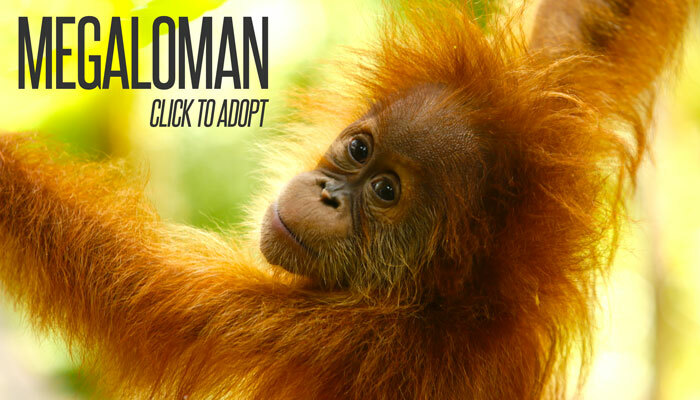 Learn more about them on our adoption page. 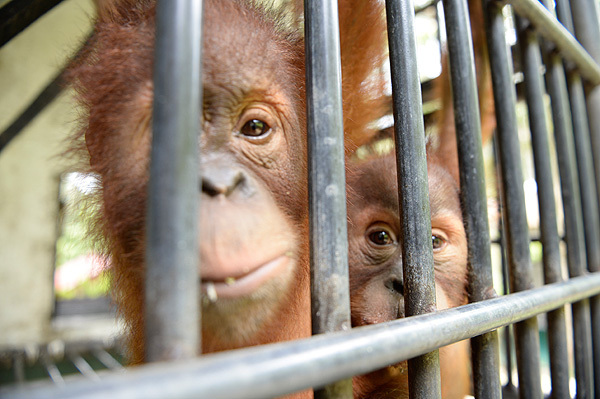 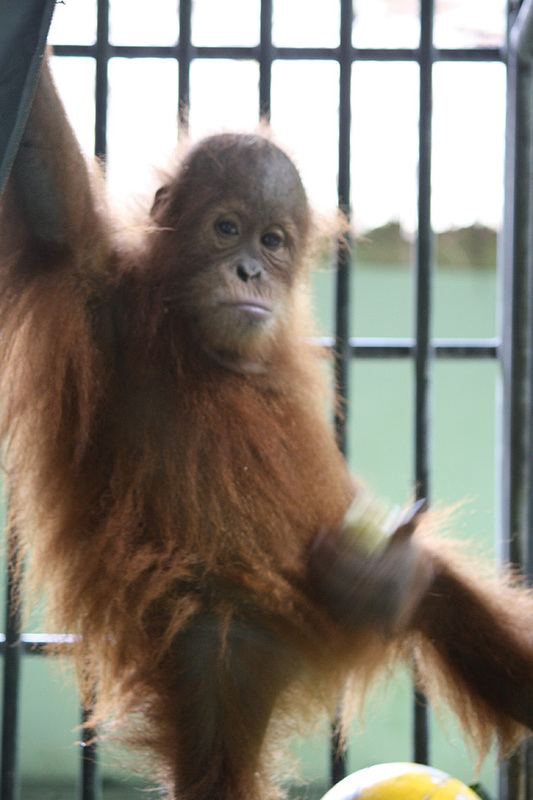 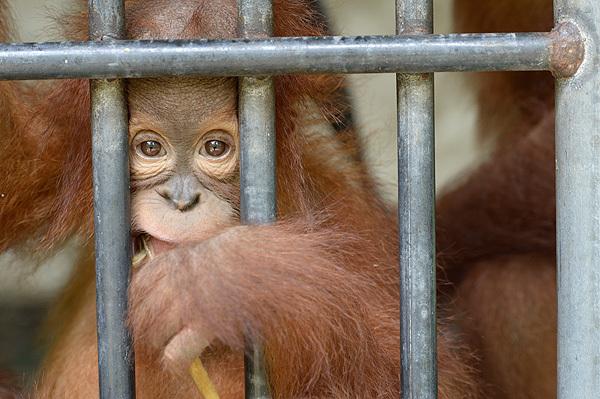 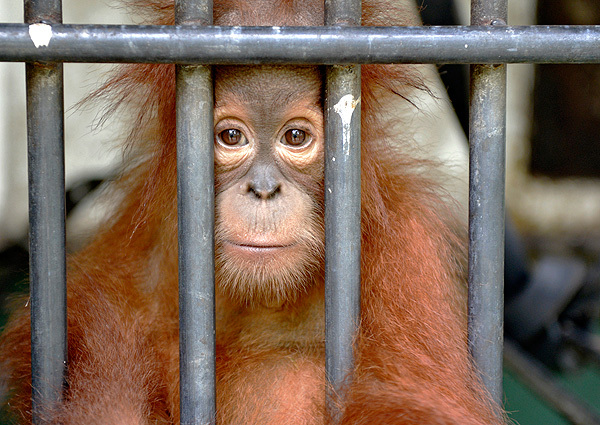 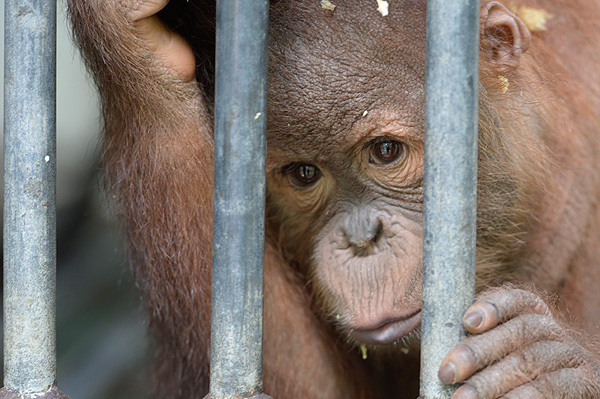 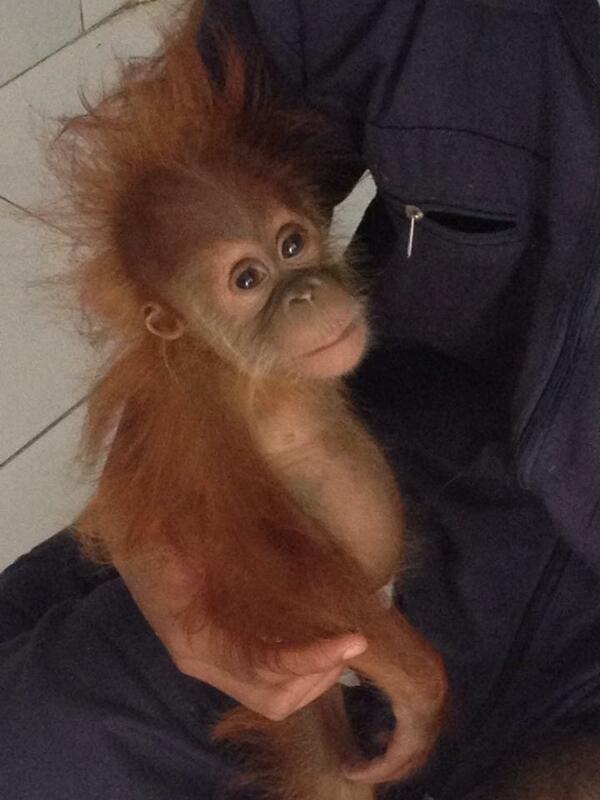 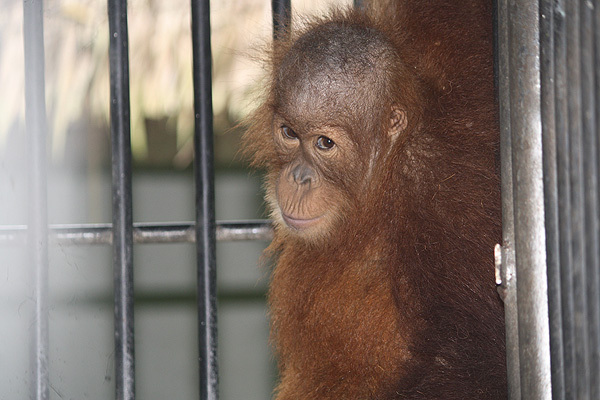 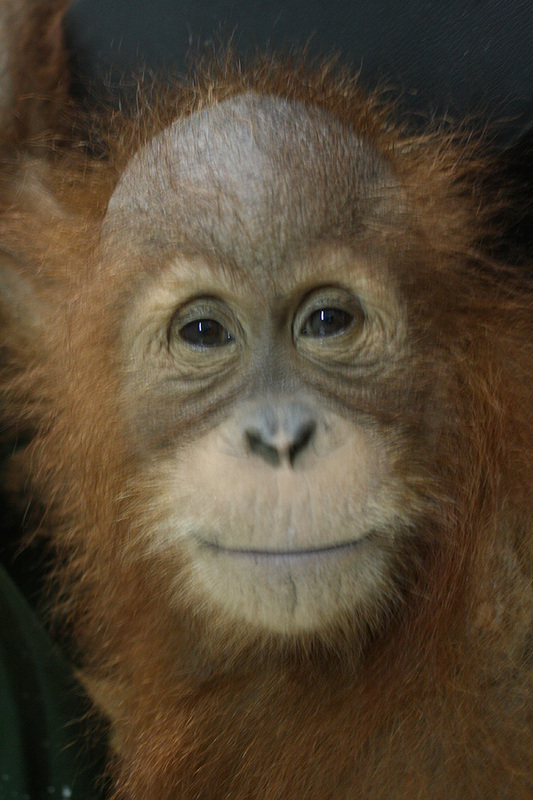 The Orangutans Need Your Help! 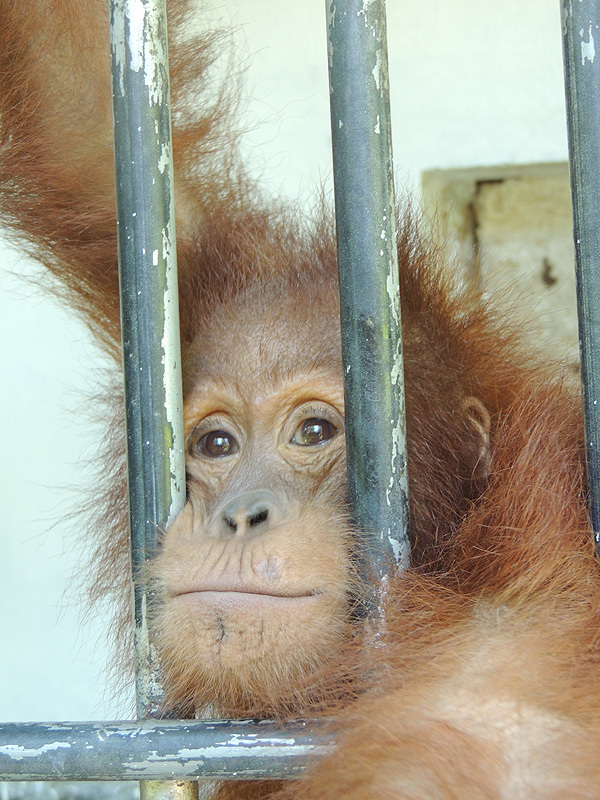 Please make a donation to SOCP today! 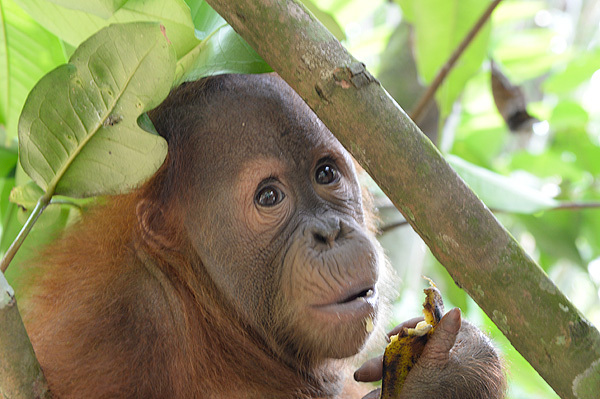 Visit the SOCP website to learn more about their phenomenal work. 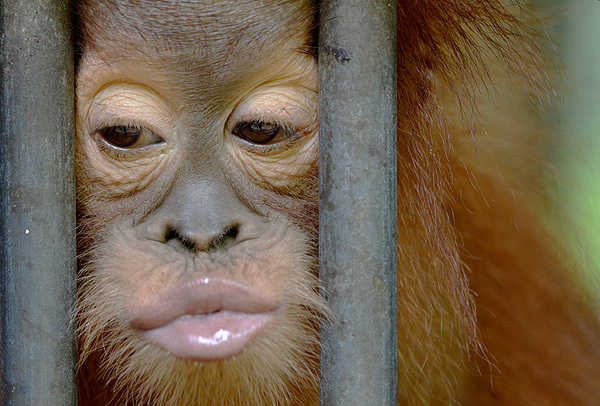 Website Design & Development by: MediumRare Interactive, Inc.